Kendriya Vidyalaya Sangathan (KVS) invites online applications from Indian citizens for filling up the vacancies of Principal, Vice-Principal, PGTs, TGTs, Librarians and PRTs posts to be filled up by direct recruitment. KVS has released notification for the recruitment of 8339 posts of Teachers & Non-Teaching staff. Interested Candidates can apply online from 24 August to 19 September 2018. (ii) B.Ed. or equivalent teaching degree. (ii) Vice-Principal / Asstt. Education Officers in Central/State Govt. / Autonomous organizations of Central/State Govt. In the PayMatrix-10(Rs.56100-1777500) with combined services of 05 years as PGT and 02 year as Vice-Principal. (iii) Persons holding posts of PGTs or Lecturer in Central / State Govt. / Autonomous organizations of Central / State Govt. in the Pay Matrix-08 (Rs.47600-151100) or equivalent with at least 8 years regular service in the aforesaid grade. (i) Master’s Degree from a recognized university with atleast 50% marks in aggregate. (i) Basic Knowledge of working on computer. (i) 2 years’ experience of working on the post of Vice-Principal in Central / State Govt. / Autonomous organizations of Central / State Govt. (ii) 6 Years’ experience of working on the post of PGT or Lecturer in Central / State Govt. / Autonomous organizations of Central / State Govt. (a) 2 Years’ Integrated Post Graduate M.Sc. Course of Regional College of Education of NCERT in the concerned subject. (b) B.Ed. or equivalent degree from a recognized University. Biology 50 Botany / Zoology / Life Science / Bio Sciences / Genetics / Micro-Biology / Bio-Technology / Molecular Biology / Plant Physiology provided they have studied Botany and Zoology at Graduation Level. Commerce 45 Masters’ Degree in Commerce. However holder of Degree of M.Com in Applied Business Economics shall not be eligible. M.Sc. (Computer Science) / BCA or equivalent and Post Graduate Degree in Subject from a recognized university. Post Graduate Diploma in Computer and Post Graduate degree in any subject from a recognized university. ‘C’ Level from DOEACC Ministry Of Information and Communication Technology and Graduation. Note: Candidates having only special B.Ed. are not eligible for the post of PGT. (a) Four years integrated degree course of Regional College of Education of NCERT in the concerned subject with at least 50 % marks in aggregate. English English as a subject in all the 3 years 270 The candidate should have studied English / Hindi / Sanskrit in all the years graduation with atleast 50% marks in English / Hindi / Sanskrit for the posts of TGT (English/Hindi/Sanskrit) respectively and also atleast 50% marks in graduation. (ii) Geography with 50% marks with History/Economics/Political Science with atleast 50% marks in aggregate and also atleast 50% marks in graduation. 2. Geography/History should have been studied in all the years of graduation with atleast 50% marks. 3. In case of Honours Degree in History, the candidate should have studied Geography/Economics/Political Science in first and/or second year of graduation with atleast 50% marks in History in aggregate and atleast 50% marks in other subject indicated above at graduation level and also atleast 50% marks in aggregate at graduation level. 4 .Similarly in case of Honours degree in Geography, the candidate should have studied History / Economics / Political Science in first and/or second year of graduation with atleast 50% marks in Geography in aggregate and atleast 50% marks in other subject indicated above at graduation level and also atleast 50% marks in aggregate at graduation level. Science Botany Zoology and Chemistry 290 1. The candidate should have studied Botany, Zoology and Chemistry in all the years of graduation with atleast 50% marks in each subject. 2. The candidates with Honours Degree in Botany/Zoology/Chemistry with atleast 50% marks in B.Sc should have studied other two subjects with atleast 50% marks in each of them at graduation level. Physics, Chemistry, Electronics, Computer Science, Statistics. 195 1. The candidate should have studied Maths in all the years of graduation with any two subjects out of Physics, Chemistry, Electronics, Computer Science, and Statistics. 2. 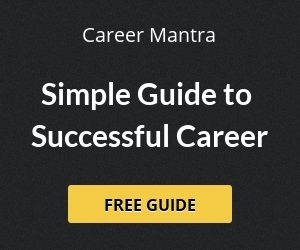 In case of Honours Degree in Maths, the candidate should have studied Maths in all the years of graduation with atleast 50% marks in aggregate and any of the two subjects indicated in point No.1 above with atleast 50% marks in each subject at graduation, level and also atleast 50% marks in graduation,. (i) B.Ed or equivalent degree from a recognized university. (ii) Pass in the Central Teacher Eligibility Test (CTET) Paper-II, conducted by CBSE in accordance with the Guidelines framed by the NCTE for the purpose. (iii) Proficiency in teaching in Hindi and English medium. Graduate in Electrical or Electronics Engineering from a recognized university. (i) One year practical experience in a recognized workshop institution / factory. Librarian (i) Bachelor degree in library science or Graduate with one year diploma in Library science from a recognized institution. (ii) Pass in the Central Teacher Eligibility Test (CTET) conducted by the CBSE in accordance with the Guidelines framed by the NCTE for the purpose. (i )Senior Secondary School Certificate with 50% marks or Intermediate with 50% marks or its equivalent and Bachelor Degree in Music or equivalent from a recognized University. (ii) Competence to teach through English\Hindi medium. Interested candidates can apply online through the KVS website www.kvsangathan.nic.in or https://jobapply.in/kvs. No other mode of submission of applications will be accepted. 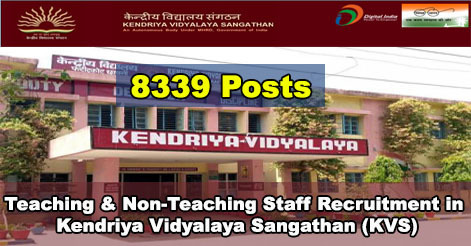 Help us to improve this article/job posting "8339 Teaching & Non-Teaching Staff Recruitment in Kendriya Vidyalaya Sangathan (KVS)". We would be glad if you can comment below and provide your valuable suggestions and feedback. If this page have any wrong information/list or out of context content, then you can report us as well. Is ctet required for PGT?? please give an answer. Kvs haridwar me pgt english ki vacancies he? How many ? Can u tell me….Is ctet is necessary for applying for PGT or not? I have Qualified B.Com (Computers), I am interesting to work in KVS as a Non-Teaching Staff, Having Work Experience 12 Years.